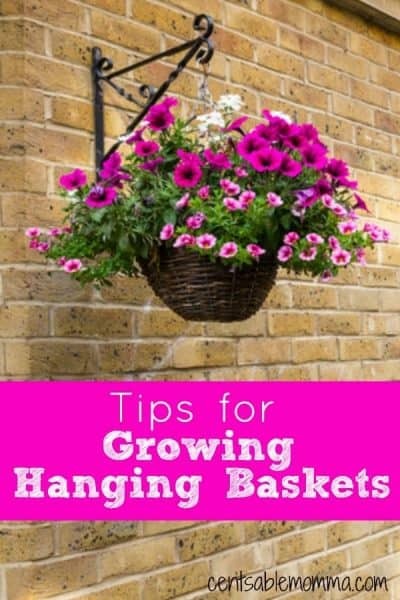 October 31 By Corrie C This post may contain affiliate links. 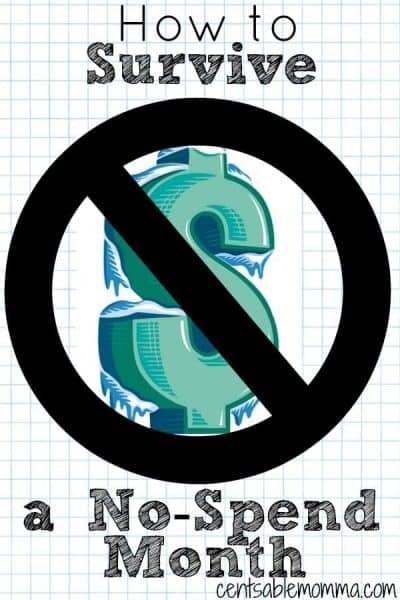 Read my disclosure policy here. 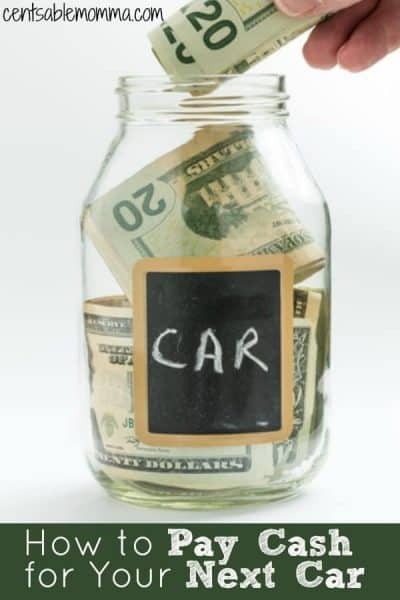 Who doesn't love Reese's peanut butter cups? 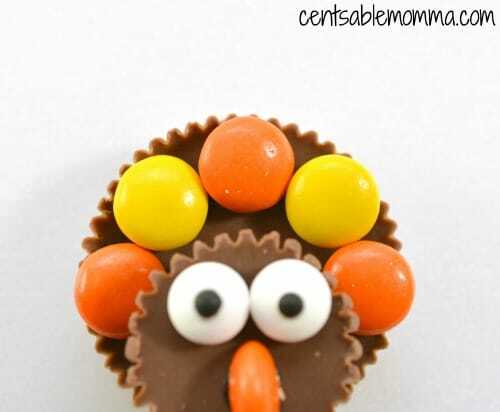 And, they're even better when you add Reese's pieces to make them Reese's Candy Turkeys for Thanksgiving. 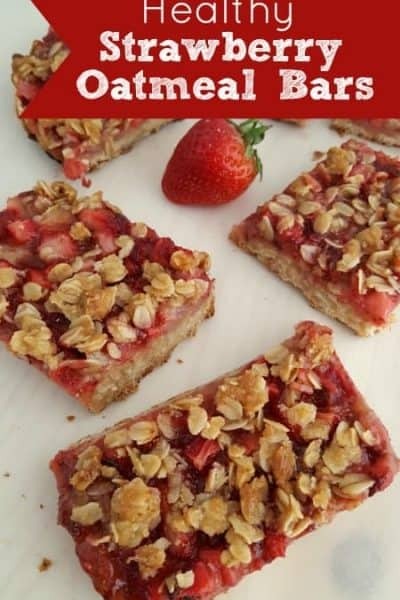 They are a super cute treat for the holiday that you can either serve completely done or use them as a fun craft for the kids to do during the football game. 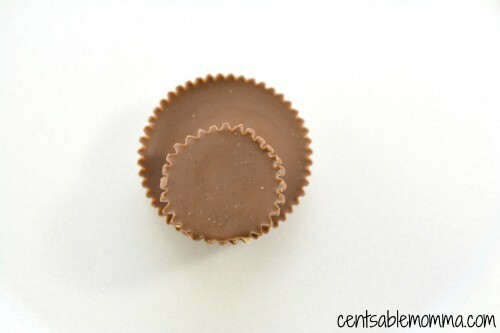 Unwrap a regular sized Reese’s Cup, and lay it facing up on a flat surface. Apply a dab of black decorator’s icing to the bottom of a snack-sized Reese’s Peanut Butter Cup. Press the smaller Reese’s Cup with the icing on the bottom of it onto the top of regular sized Reese’s cup, near the bottom. The smaller candy will be the head of the turkey, and the larger will be its body. 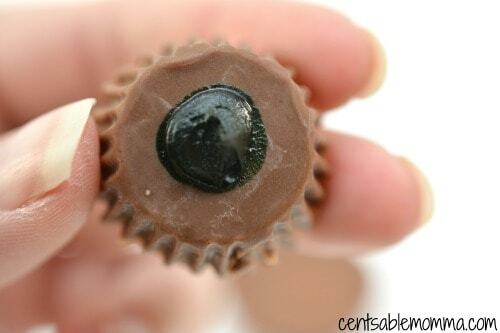 Place some black icing on the back of two candy eyes, and apply them to the top of the smaller Reese’s cup. Using a knife, carefully cut an orange Reese’s Pieces in half. 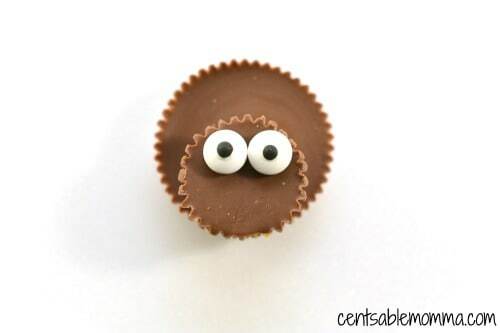 Apply some black icing to one half of the Reese’s Pieces, and press it onto the front of the small peanut butter cup, under the candy eyes. 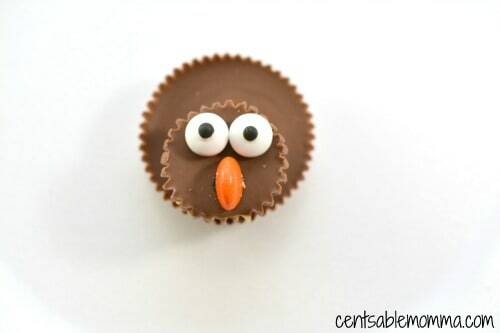 Place some black icing onto the back of individual Reese’s Pieces, and apply them in alternating colors along the outer edge of the larger Reese’s Peanut Butter Cup, these will be the feathers of your turkey. Allow the candy turkeys to set in the freezer for 5-10 minutes before serving. Unwrap a regular sized Reese’s Cup, and lay it facing up on a flat surface. Apply a dab of black decorator’s icing to the bottom of a snack-sized Reese’s Peanut Butter Cup. 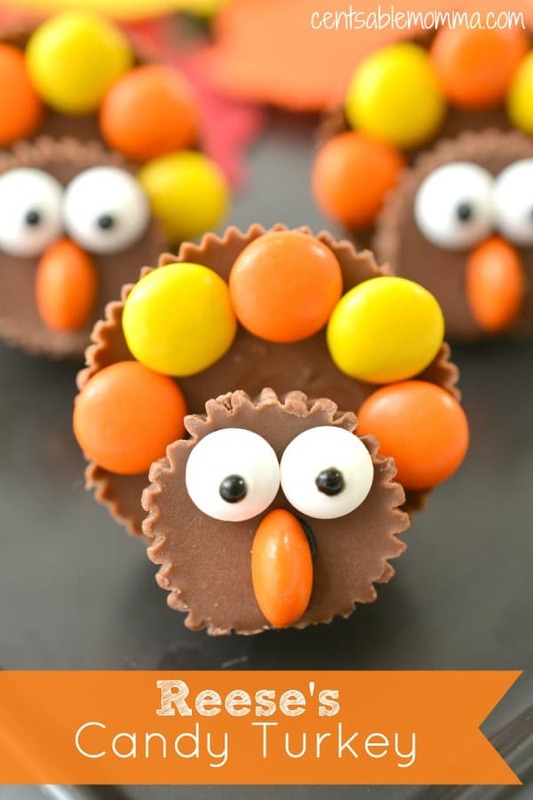 Place some black icing onto the back of individual Reese’s Pieces, and apply them in alternating colors along the outer edge of the larger Reese’s Peanut Butter Cup, these will be the feathers of your turkey. 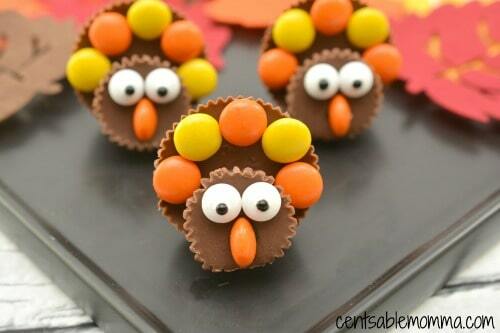 Allow the candy turkeys to set in the freezer for 5-10 minutes before serving.